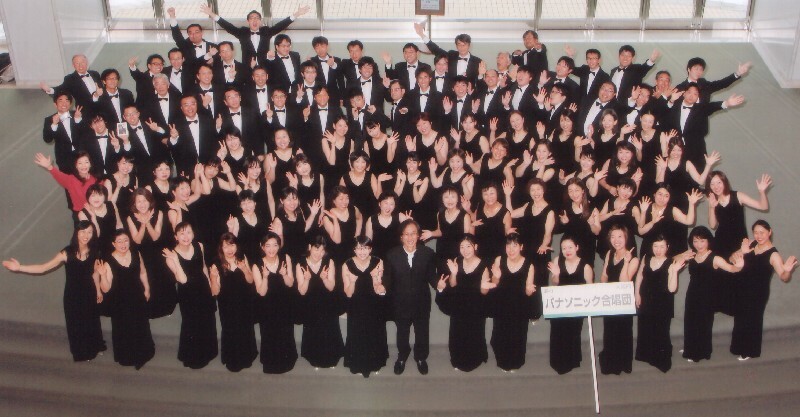 former "Matsushita Chuo Chorus Web Site"
The Panasonic Choir, founded in 1974, is a chorus group organized by members working at divisions and subsidiaries of the Panasonic Corporation. We are aggressively holding many stages every year, such as an annual concert held once in every year since 1976, a Christmas carol concert at OBP (Osaka Business Park) in Osaka, and participation in the choral competition, and so on. In 1999, we could participate the 31st Tolosa Choral Competition, and won the 3rd Prize in participating two sections. And we have held a concert in New York 2005, in Beijing and Dalian 2008 in big success. We invited 4 Magnificent soloists to perform Mozart's Requiem. If there is any question about this page, please e-mail here.